A man accused of killing his parents at their San Jose home back in 2016 has been found guilty of murder in the first degree after lying in wait. Kris Sanchez reports. 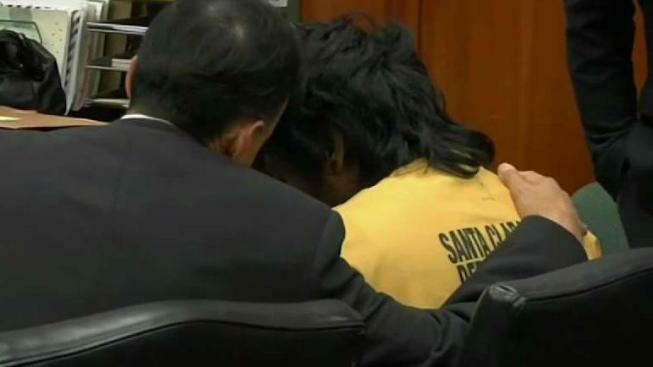 A man accused of killing his parents at their San Jose home back in 2016 has been found guilty of murder in the first degree after lying in wait. Hasib Bin Golamrabbi is due in court on Nov. 16 for sentencing. After the verdict was revealed Thursday morning, Golamrabbi asked the judge about setting the decision aside and requesting a new trial. 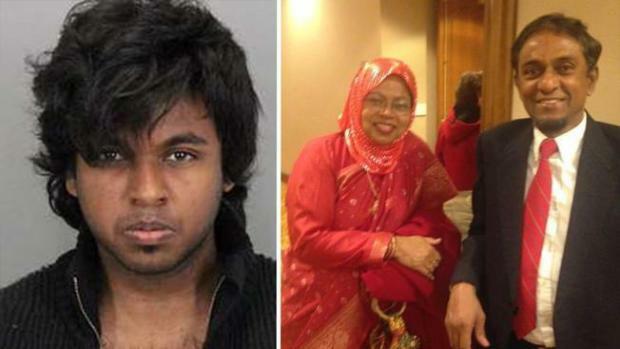 Golamrabbi was previously charged in the shooting deaths of his parents, 59-year-old Golam Rabbi and 57-year-old Shamima Rabbi, in their home in San Jose's Evergreen neighborhood back in April 2016. Sources who witnessed the aftermath before police arrived told NBC Bay Area that chilling messages were written on the floor and wall near the bodies. One message allegedly read, "Sorry, my first killing was clumsy." Sources claimed another message allegedly ended, "I can't be like you, telling a lie. I can't love someone without telling them." A man facing murder charges for allegedly killing his parents at their San Jose home back in 2016 plans to represent himself when his trial kicks off, according to an official with the Santa Clara County court system. Sources told NBC Bay Area that Golamrabbi's parents, who were born in Bangladesh, did not approve of their son's sexual orientation. Golamrabbi has a younger brother who was previously cleared of a murder charge in the case due to "insufficient evidence." A San Jose man facing murder charges for allegedly killing his parents back in 2016 plans to represent himself, according to an official with the Santa Clara County court system. Hasib Bin Golamrabbi is expected to appear in court Tuesday morning for his first trial hearing, which will mostly be procedural. It is not exactly clear how things will proceed given Golamrabbi has turned down has turned down the service of legal counsel. Golamrabbi is charged with the shooting deaths of his 57-year-old mother and 59-year-old father in their home in San Jose's Evergreen neighborhood back in April 2016. Sources who witnessed the aftermath before police arrived told NBC Bay Area that chilling messages were written on the floor and wall near the bodies. One message in black marker read," Sorry, my first killing was clumsy." Sources claimed another rant stated, "I can't be like you, telling a lie. I can't love someone without telling them." Sources also told NBC Bay Area that Golamrabbi's parents, who were born in Bangladesh, did not approve of their son's sexual orientation. Golamrabbi has a younger brother who was previously cleared of murder charges due to insufficient evidence.